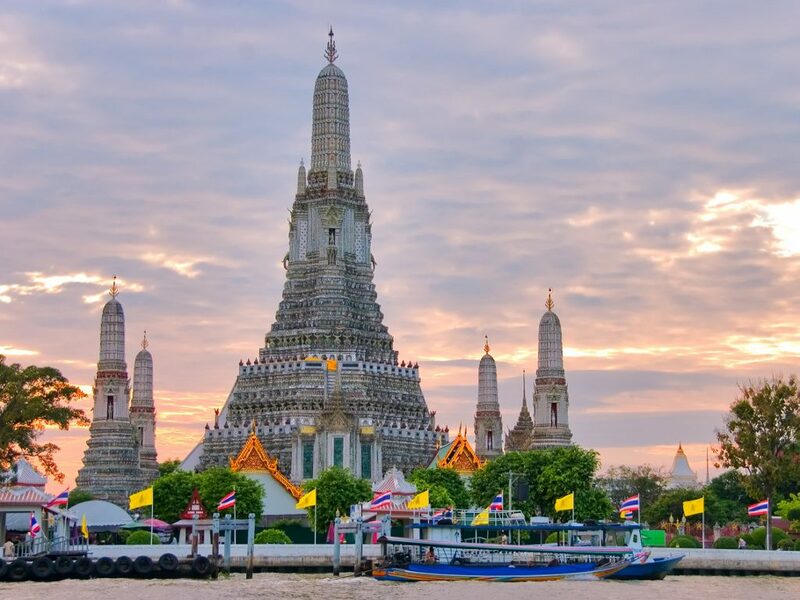 Thailand’s capital of Bangkok welcomed about 16 million international visitors in 2015, making it the single most visited city in the world. Even more impressive are the magical attractions that lie just on its doorstep. Think breath-taking ancient temples and dreamy beaches that have inspired some of Hollywood’s finest filmmakers. 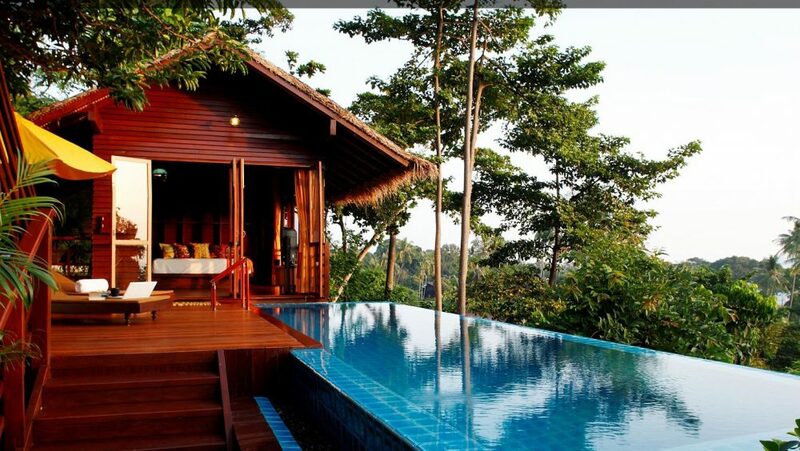 It will be hard to find a honeymoon destination that will trump Thailand! You could go for classic Thai dishes like Massaman curry and Pad Thai. However, if you’re reading this, you’re probably not looking to do things by the guidebook! Thailand is home to some of the most impressively odd food in the world, some of which may turn your stomach. Or in the case of Goong Ten (literally means “dancing shrimp”), may continue to turn in your stomach. You never know, you might come home with a newfound fondness for deep-fried crickets! Ever rowed through a busy canal to get your grocery shopping done? The Damnoen Saduak floating markets are famous for providing the very best of Thai wares, all being sold on longtail boats by local vendors. Everything from traditional food and clothing to wonderfully tacky souvenirs make the often chaotic markets a photographer’s dream. You won’t even need an Instagram filter to make this place look special! 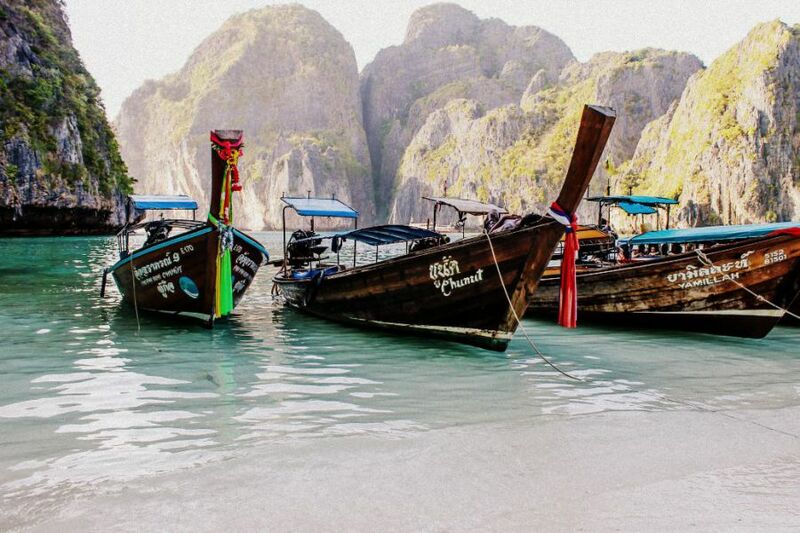 Now considered a movie classic, The Beach starring Leonardo DiCaprio was filmed on the island of Phi Phi Leh. If you thought it looked good on the silver screen, just wait till you see what it looks like up close. 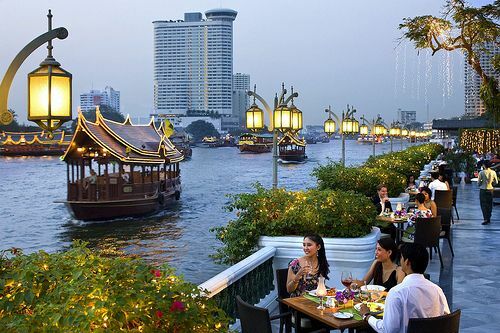 For 140 years the Mandarin Oriental in Bangkok has provided some of the most luxurious accommodation in Asia. Situated on the banks of Chao Phraya River, it’s a perfect balance of contemporary marred with elegant Thai style. If you want luxury and comfort close to all of Bangkok’s most famous attractions such as the Grand Palace, this is the perfect place to spend your honeymoon. With nine different restaurants serving everything from traditional Thai fare to French cuisine and BBQ, you won’t go hungry either. 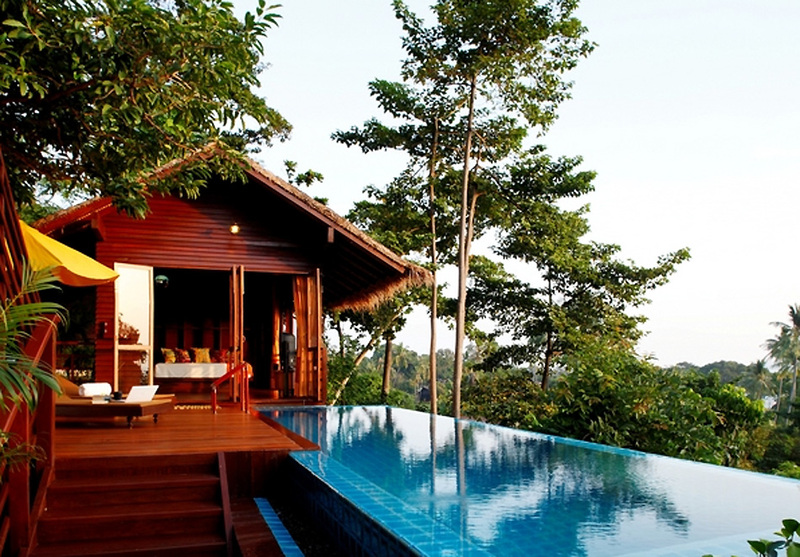 The Zeavola Resort on Ko Phi Phi Don is a serene barefoot luxury resort in Thailand. They’ve gone to great measures to create a peaceful haven away from the hustle and bustle. Whenever you’ve had enough of taking it easy, you could keep yourself busy on the hotel’s very own private yacht, or explore the underwater world from the on-site PADI diving centre. Definitely a step up from your average Thai backpackers hostel! 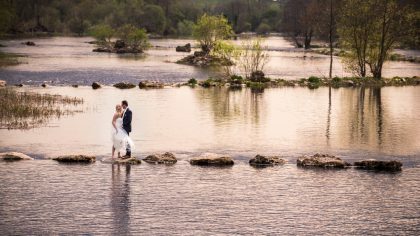 GoHop.ie, one of Ireland’s leading travel agents, have included this resort in itineraries before, so take a look at their Best of Thailand honeymoon experience. Image Credits: 1) via The Knot 2) via Dailey Adventurers 3) Mandarin Oriental Bangkok; 4) Zeavola Resort.